The Everything Space is a movement studio curated by Amanda Franz and Abbi Jaffe. We are dedicated embodiment activists, passionate about somatic education, social and environmental justice, community building, and more. Your body is highly intelligent. We strive to cultivate resilience, rewilding, presence and connection for any body. Abbi Jaffe is an embodiment activist and teacher, bodyworker, social worker and community builder. Abbi inspires others to follow their own body's curiosity and impulses, embrace grief and celebration, unleash their radiant resilience, and to be exquisite. Abbi passionately teaches classes and workshops in growing resilience, being trauma informed yoga, contact improvisation dance, acro yoga, authentic movement, contemplative dance practice, and embodied community building and has been leading people on expeditions in the wilderness and within themselves since 2000. Abbi has been teaching embodiment for over 12 years and is asked to teach throughout New England (Middlebury College Center for Health and Wellness, Dance New England Summer Camp, VT AcroYoga Festival, Druid Camp, The Annual Burlington VT International Contact Jam, EarthSpirit’s Rites of Spring, Wanderlust Vermont Yoga Festival). Amanda Franz is a magic maker of creative transformation. She organizes for, lives and breathes the interconnection of body and Earth. Through bodywork, education, facilitation, embodiment activism and community building, she invites people into the profound intelligence of their bodies and empowers them to bring that intelligence everywhere they go. She is deeply investigating what it means to be a human, right now, in this world, and how to cultivate dynamic resilience within the midst of the chaos. Along with her ardent listening to the body, she has been cultivating healthy relationship to the Earth by growing and wild-crafting food and medicinal herbs. She runs a small apothecary called Wild Thing Herbal Apothecary, from plants with which she has cultivated reciprocal relationship. 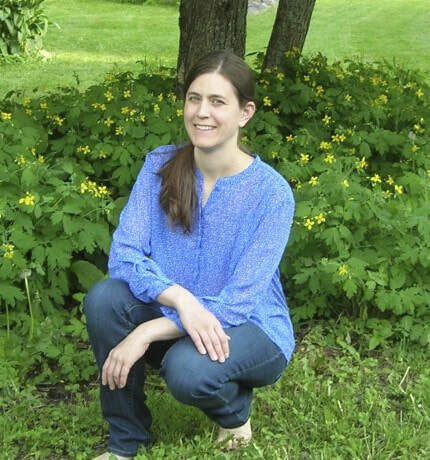 Amanda has been studying, teaching, and performing various somatic movement modalities throughout the United States and in Canada and Russia for the past 15 years. She is a certified Somatic Body Practitioner and is a certified Somatic Movement Educator through ISMETA, as well as a certified Level II Collab trainer and facilitator. She holds a BA in Visual Arts from Oberlin College and forever holds Missouri, the place of her birth, dear to her heart. Sarai is a dance/movement therapist, licensed mental health counselor and body worker ready to support you in finding balance and recovery when your world is turned upside-down. Her practice is deeply rooted in social justice, somatic psychology, expressive therapy, mindfulness, trauma and attachment neuroscience and theory. She is passionate about guiding people to follow their hearts and survive this crazy, beautiful world. She employs a variety of counseling methods that have been demonstrated by research to be effective at reducing stress, anxiety, depression, trauma/PTSD symptoms and increasing self-esteem, spontaneity and joy. Mandy Snyder is a dancer, healing artist and lover of laughter. She weaves improvisational movement, mindfulness and soul-filled practices for alchemy that heals our hurts, expands joy and connects us to a peaceful place within. Murphy Robinson s a Wilderness Guide, Level 2 Archery Instructor, and a Vermont Hunter's Safety Instructor. She loves teaching people concrete skills that help them experience their inner wildness and their connection to the land. Amy LePage weaves together her backgrounds in Contact Improvisation, Therapeutic Yoga and Hanna- based Somatics to offer classes, workshops and individual sessions that explore deep internal listening and re-educating the moving, breathing body. Lucy is a teacher, mover, improviser, and performer of everyday life. She recently completed her Masters in Education at Goddard College with a focus on embodied learning. This summer she participated in a Playback Theater “Core Training” in NYC. She can’t wait to co-explore the communal magic of Playback Theater within the Central Vermont community! MC's focus since 2008 has been primarily teaching children creative dance and raising her growing family. MC studied Biology and Dance at Dartmouth College (B.A. 2005) and combined her two passions at Sarah Lawrence College receiving an MFA in Dance (2008). Her thesis work focused on the links between science and art. MC founded the Hopkins Center’s Children’s Creative Dance Program at Dartmouth in 2005 and taught every class until 2012 when her family relocated to Philadelphia. As a faculty member at Dartmouth she was fortunate to perform with, and choreograph for, the Dartmouth Dance Theater Ensemble and she was a frequent guest teacher in the advanced modern dance classes. ​MC finds dance in everything and currently her biggest inspirations are her four children. They are excited to have finally settled in Montpelier, Vermont and MC has been teaching children creative dance classes here and there since they moved in 2015.